#Arduino IDE 1.6.2 released, featuring cores and libraries manager, available for download now! #ArduinoD15 @arduino « Adafruit Industries – Makers, hackers, artists, designers and engineers! Arduino IDE 1.6.2 released and available for download. 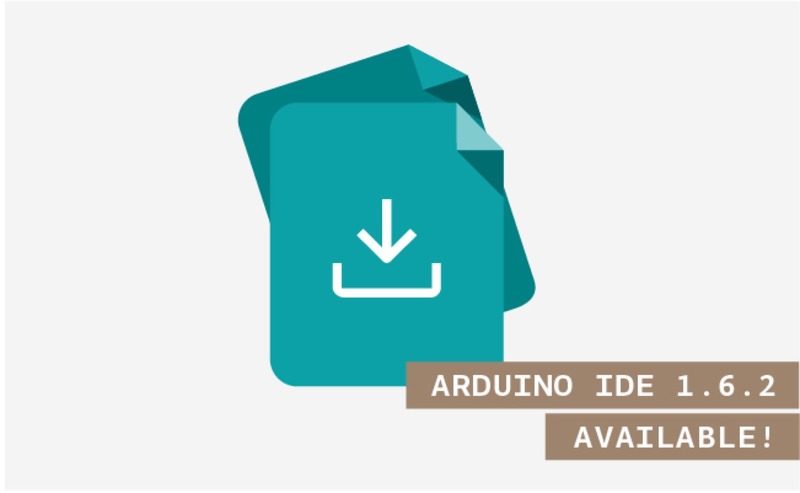 A new version of the Arduino IDE (1.6.2) is available at the download page! The Arduino IDE 1.6.2 features new one click install of boards and libraries. With 1.6.2, two new menu items are available: “Sketch > Include Library > Manage Libraries…” and “Tools > Board > Boards Manager…” We have written two guides that explain how to use them. Discover how to use the Library Manager and how to install support for additional boards.